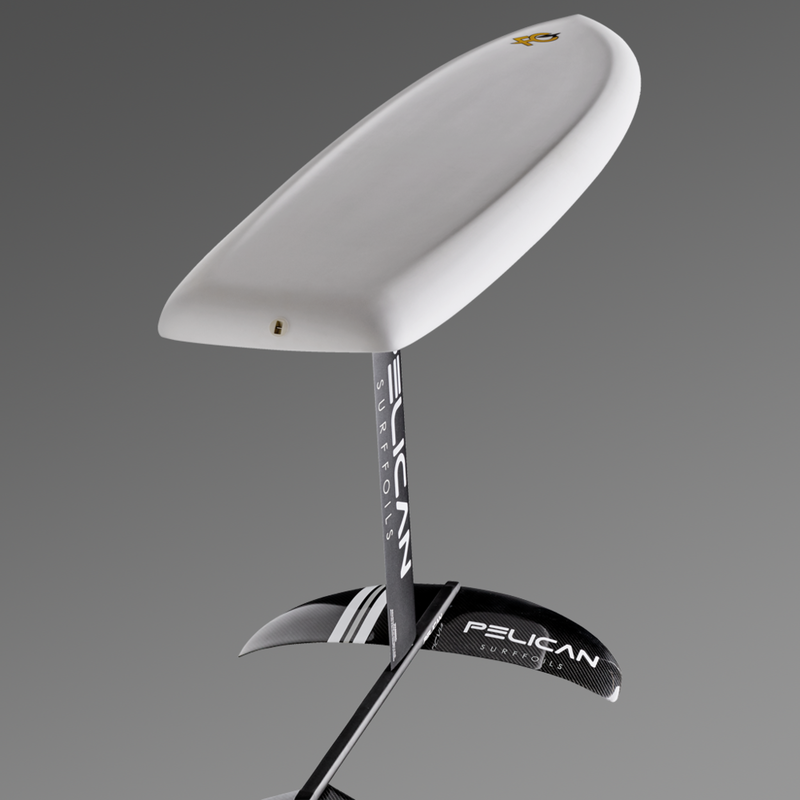 The critical thing we've found in design for foil surfing is paddle power. You want to get in early and get to your feet before anything crazy can happen. After the longest ride ever, you want to be able to get back to the peak or hook up with the next whitecap. Fletch's inspiration for this shape came from prone paddleboards. You'll generally want to go as small as you think you can manage so that there's not undue swing weight for pumping. 5'4", 5'6" (46L), 5'9", 6'0", 6'2"
For kite-foiling, or surf-foiling with your own board, please contact us and we'll let you know if you board would be appropriate for a foil attachment. We are not currently producing kitefoil racing boards. Contact us for more custom information. Foil not included with purchase of foil surfboard. For foil recommendations and advice, please contact us. *The dims provided here are meant to be used as a guide only. Because humans are involved in the process of shaping, finishing, and glassing each one of our boards, there may be slight variations in dimensions, even for stock boards. Please contact the shop to find out which models are in stock, as well as exact dimensions.